MRC offers electronics recycling pickups for businesses, churches, and municipalities with computers & other electronics in quantity. We offer certificates of recycling and/or destruction for all business pickups. MRC does not offer pickup services to residential areas. If you are a resident in need of recycling services, please check MRC's drop-off locations listed below, and MRC's electronics recycling events for nearby community options. 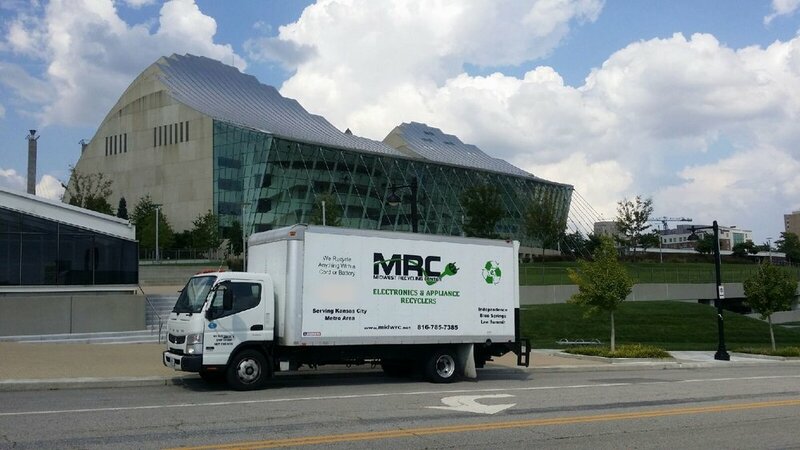 MRC has many electronics recycling drop-off locations for local residents around the St. Louis, Jefferson City, Kansas City, Imperial, and Park Hills, Missouri areas. We would love for you to stop by and drop off your unwanted electronics and appliances! Thank you! One of our logistics managers will follow up with your request soon!